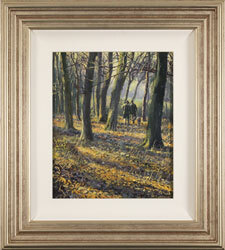 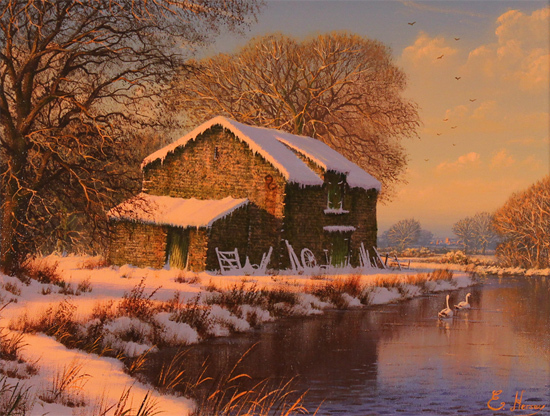 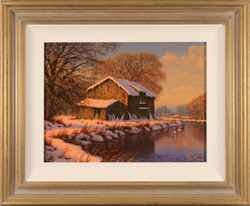 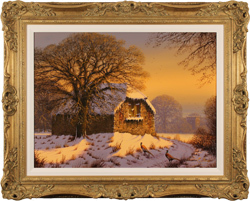 The exacting technique and luminous blush of Edward Hersey’s Winter scenes, are unmatched in their precision and beauty. 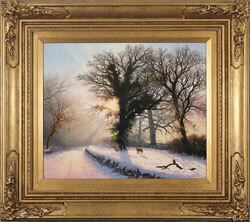 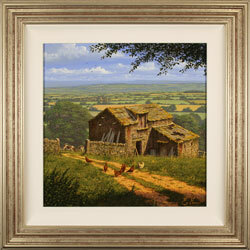 As the day nears a close, the last warmth of the Winter sun emanates from Winter Serenity. 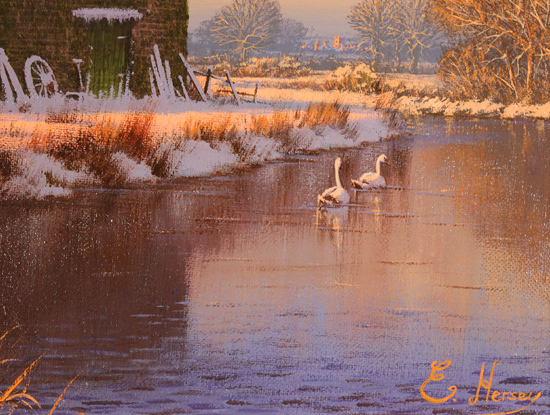 The snow is set ablaze by Hersey’s characteristic rose hues, and a pair of mated swans glide harmoniously upstream.